Knopfler; Knopfler/Taylor. Very Good. In very good packaging. Mark Knoplfer-Sailing to Philadelphia by Mark Knoplfer. Knopfler. Very Good. In very good packaging. 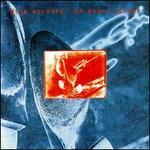 Mark Knopfler-Sailing To Philadelphia [European Import] by Mark Knopfler.